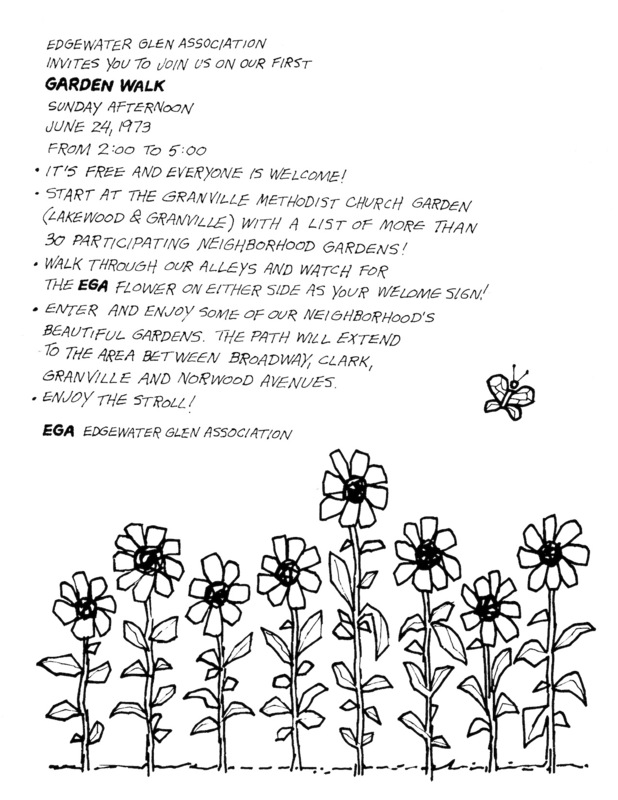 The Edgewater Glen Garden Walk will take place Sunday, July 14, 2019. The 1200 & 1300 blocks will be featured this year. Application deadline to get on the Garden Walk Map is 7-6-19. 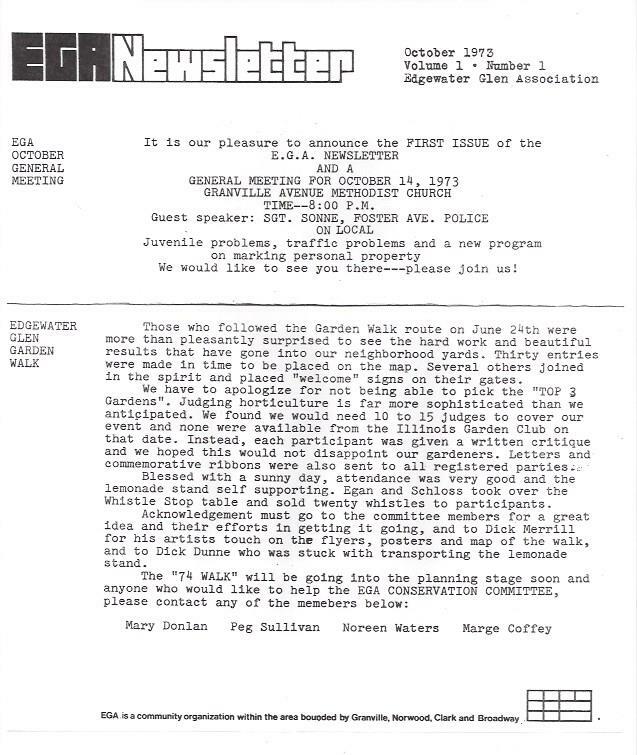 As the number of display gardens increased to about 50 & became somewhat unwieldy for attendees, in 2008 the decision was made to split the neighborhood in half along Glenwood, offering West Edgewater Glen Gardens (1400 & 1500 blocks) and East Edgewater Glen Gardens (1200 & 1300 blocks) on display in alternate years. This greatly improved the walkability of our event, along with giving the display gardens (and their gardeners!) a recuperative gap year. 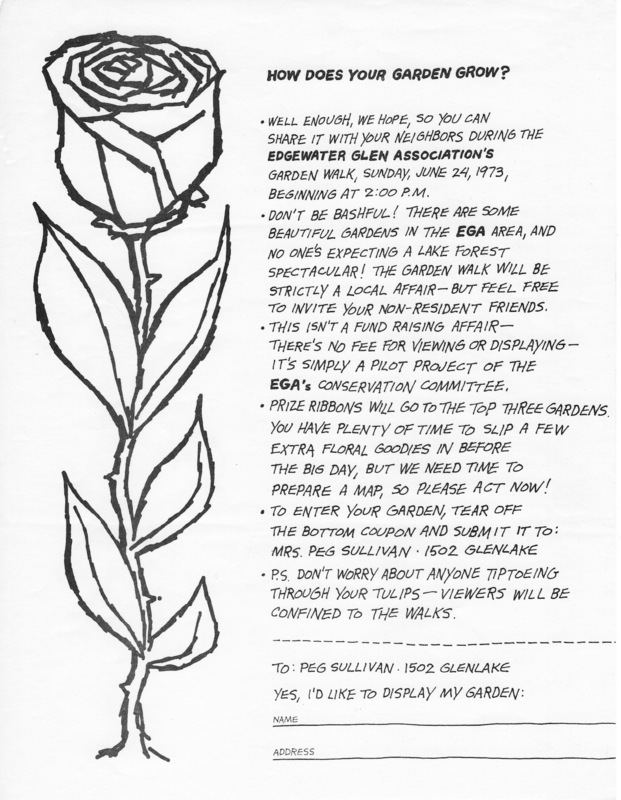 For the 2011 EGA Garden Walk, a ‘poison-free’ category was added to the signage and maps to recognize those gardens that are not only beautiful, but also properties where no chemical pesticides, herbicides, weed & feed fertilizers, etc. are used.